A recent drought completely shut down the Amazon Basin's carbon sink, by killing trees and slowing their growth, a ground-breaking study led by researchers at the Universities of Exeter and Leeds has found. Previous research has suggested that the Amazon -the most extensive tropical forest on Earth and one of the "green lungs" of the planet—may be gradually losing its capacity to take carbon from the atmosphere. This new study, the most extensive land-based study of the effect of drought on Amazonian rainforests to date, paints a more complex picture, with forests responding dynamically to an increasingly variable climate. The study made use of two large-scale droughts occurring just five years apart, in 2005 and 2010, to improve understanding of how drought affects tree growth, and therefore the rate of uptake by trees of carbon dioxide from the atmosphere.In the first basin-wide study of the impact of the 2010 drought and its interaction with previous droughts, the international team of researchers found that tree growth was markedly slowed by drought across the vast forests of the Amazon. 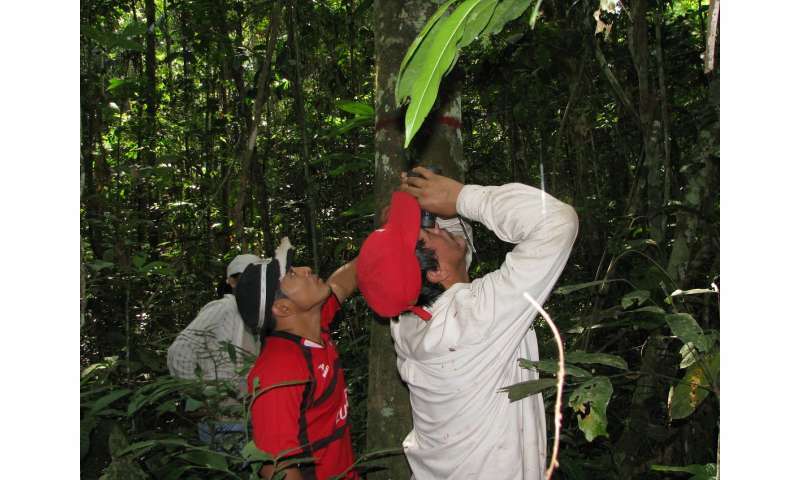 By using long-term measurements from the RAINFOR network spanning nearly a hundred locations across the Amazon Basin, the team was able to examine the responses of trees. In both the first drought and the second the Amazon temporarily lost biomass. But while both droughts killed many trees, the 2010 drought also had the effect of slowing the growth rates of the survivors, suggesting that many trees were adversely affected but not to the point of death. Lead author Dr Ted Feldpausch, senior lecturer in Geography at the University of Exeter, said: "The first large-scale, direct demonstration of tropical drought slowing tree growth is extremely important. It tells us that climate changes not only increase the rate of loss of carbon dioxide to the atmosphere, by killing trees, but also slow down the rate of uptake. And yet, the Amazon clearly has resilience, because in the years between the droughts the whole system returned to being a carbon sink, with growth outstripping mortality." As the most extensive tropical forest on Earth, the Amazon forest stores 100 billion tonnes of carbon in biomass, so changes here have global consequences. The research provides important new understanding of the impact of climatic change on the behaviour of forests and CO2 levels. 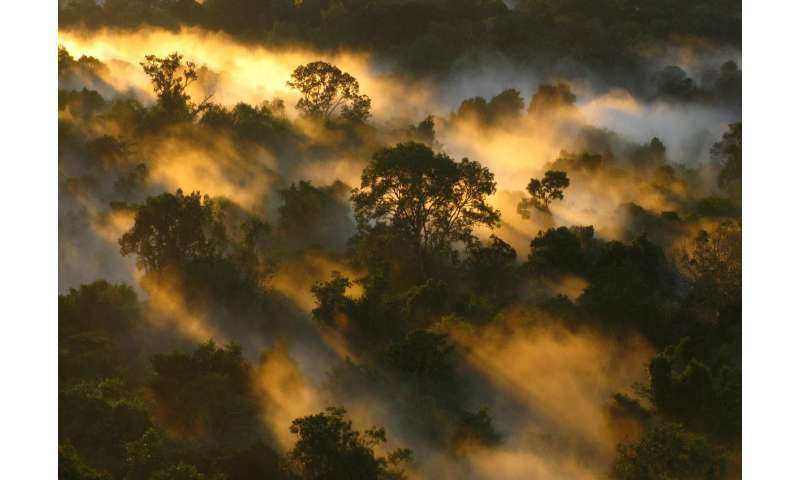 Co-author Professor Oliver Phillips, from the University of Leeds, said: "For more than 20 years the Amazon has been providing a tremendous service, taking up hundreds of millions more tonnes of carbon every year in tree growth than it loses through tree death. But both the 2005 and 2010 droughts eliminated those net gains." The research represents a large step forward in understanding how forests respond to repeated natural droughts at the scale of the Amazon. However, the researchers caution there is still much to learn. Not only have droughts recurred more frequently, but temperatures in Amazonia are on the rise, and a greater understanding of the effect of the interaction between the two is needed. Professor Phillips added: "These climate changes are also affecting the exceptional plant and animal diversity of Amazonia. A big challenge now is to discover which species are at risk." More information: Amazon forest response to repeated droughts by T.R. Feldpausch, O.L. Phillips, R.J.W. Brienen, E. Gloor, J. Lloyd, G. Lopez-Gonzalez, A. Monteagudo-Mendoza, Y. Malhi, A. Alarcón, E. Álvarez Dávila, P. Alvarez-Loayza, A. Andrade, L.E.O.C. Aragao, L. Arroyo, G.A. Aymard C., T.R. Baker, C. Baraloto, J. Barroso, D. Bonal, W. Castro, V. Chama, J. Chave, T.F. Domingues, S. Fauset, N. Groot, E. Honorio C., S. Laurance, W.F. Laurance, S.L. Lewis, J.C. Licona, B.S. Marimon, B.H. Marimon-Junior, C. Mendoza Bautista, D.A. Neill, E.A. Oliveira, C. Oliveira dos Santos, N.C. Pallqui Camacho, G. Pardo-Molina, A. Prieto, C.A. Quesada, F. Ramírez, H. Ramírez-Angulo, M. Réjou-Méchain, A. Rudas, G. Saiz, R.P. Salomão, J.E. Silva-Espejo, M. Silveira, H. ter Steege, J. Stropp, J. Terborgh, R. Thomas-Caesar, G.M.F. van der Heijden, R. Vásquez Martinez, E. Vilanova, V.A. Vos is published in Global Biogeochemical Cycles.